The Urban Systems studio explores different design approaches to developing urban parks and open-space systems in cities. Urban scale analysis of open-space systems and their conditions is conducted, resulting in an open-space strategy for the urban environment. 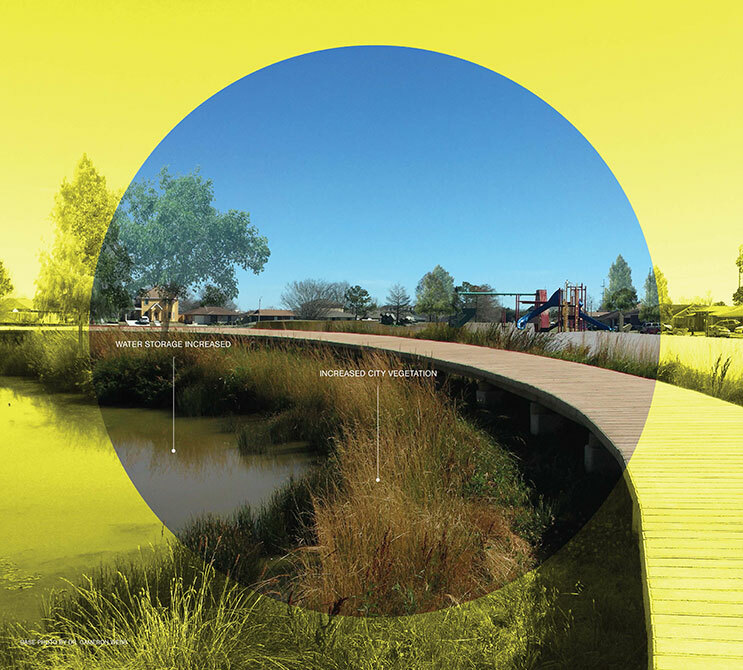 Individual components of the system are designed at the site scale to introduce typical issues involved in urban open-space design and implementation. 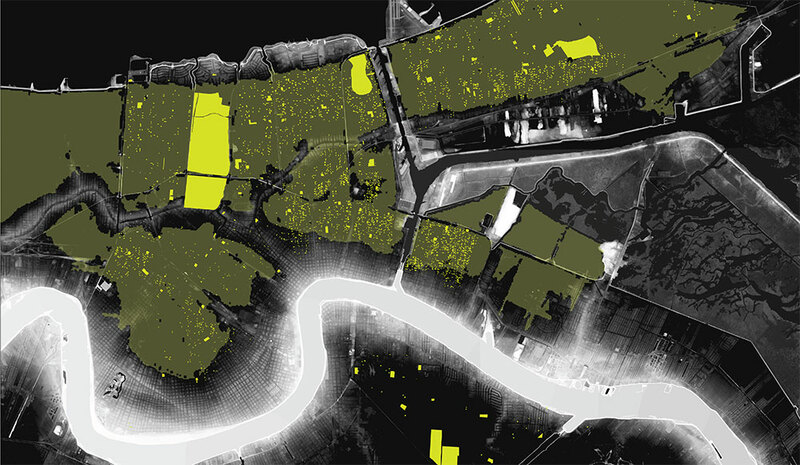 The spring 2015 studio looked at the urban landscape of New Orleans as a vehicle for design speculation on the infrastructure of open space and water management. Work was focused on the development of a Metropolitan Parks Strategy for the City of New Orleans. Students investigated how the urban landscape of parks and open space can be designed and/or retrofitted to optimize its performance: socially, ecologically, and economically. 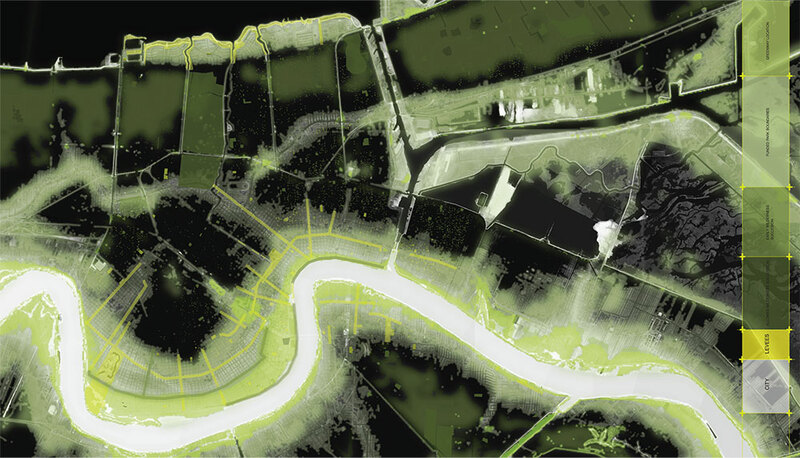 In the political and economic context of Louisiana, there is an urgent need to find solutions to the provision of future landscape infrastructure that is both achievable and effectively addresses future urban resilience. 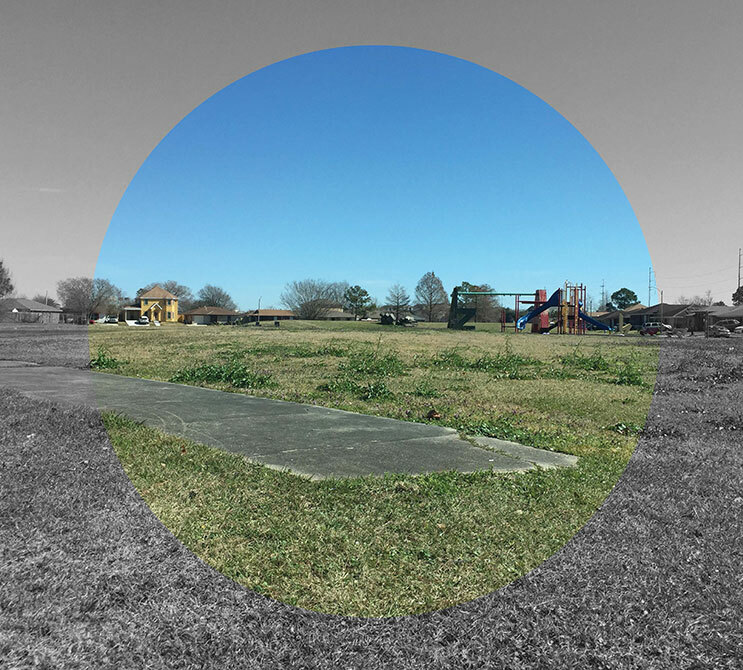 Starting from an understanding of the existing urban landscape and its infrastructure, students developed a strategy for the future development of parks and open space within Orleans Parish. The proposals were tested against the existing framework of regulation and policy as well as models for best practice. 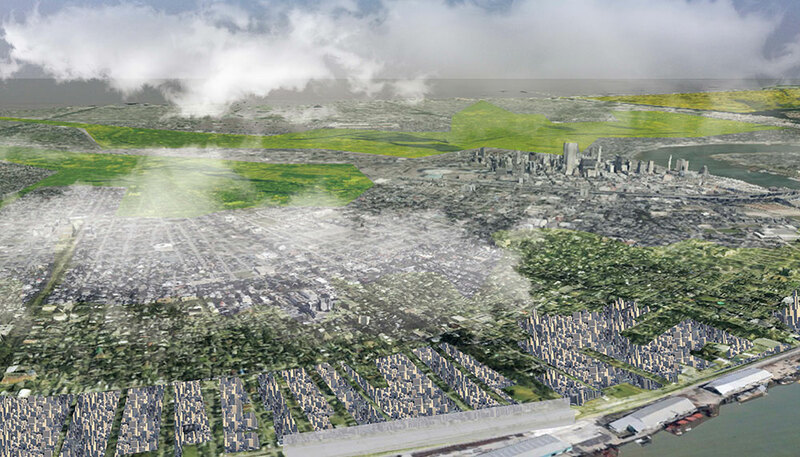 In negotiation of a reassessment of funds and development of the New Orleans park system, this scheme took a stance on the broader unavoidable context of resettlement of the city as a whole. New Orleans is a city 49 percent below sea level, and the viability of the city as a whole must be considered in re-envisioning the park system. The shrinking tax base of a sprawling city cannot support improvements to any park at the current scale of the system. This scheme uses topography as a means of restructuring the footprint of the city, but is in no way absolute. 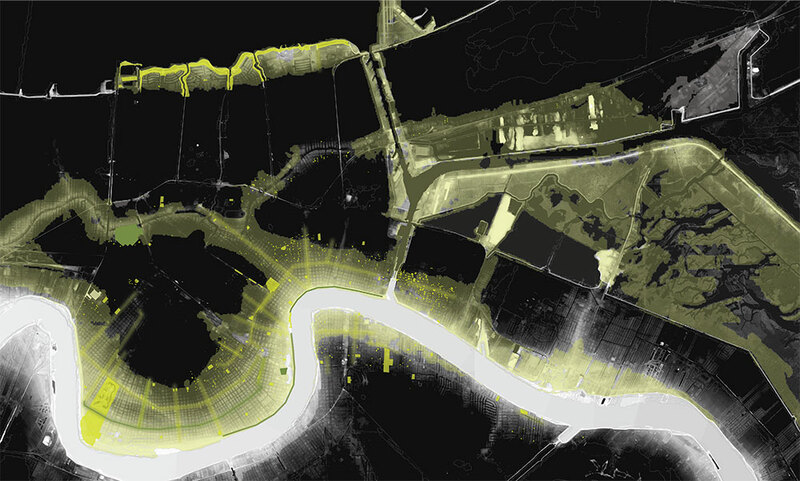 The scheme must interact with the current political context of the city of post-Katrina New Orleans. The idea that people have a right to return to their homes, even at an unsafe elevation, outweighed the ideas of social justice and long-term city resiliency. This system subdivides the city based on topography into three conditions for redevelopment, densely settled low ground, sparsely settled low ground, and high ground. This scheme uses parks as temporary water storage in flash events, also creating a place for water to go in longer term flooding conditions. In doing this, economic market mechanisms are used to encourage redevelopment of settlement in the high ground, densely populating safer areas of the city and allowing for decreased infrastructural pressure. This will, over the course of several decades, condense the footprint of the city and allow for a more reasonable tax base for the viable high ground.